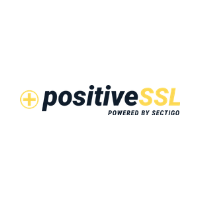 The PositiveSSL with EV certificate is issued by Sectigo. It is a great entry level Extended Validation certificate. This certificate puts the name of your business in the browser address bar, assuring your customers that your business is legitimate and safe to buy from. Green Address Bar for maximum trust from your users. Most affordable way of getting an Extended Validation certificate. $1 million warranty to protect your business.